Laura Bush said the first couple would be spending their Christmas money on Texas real estate for what she referred to as the "afterlife" — the time when they leave the White House in January. President George W. Bush wants a gate installed along a public street to limit access to his new home Preston Hollow, city officials said. Dallas City Manager Mary Suhm confirmed to The Dallas Morning News on Monday that the president, who is expected to move into the new Preston Hollow home in two weeks, is seeking to have a gate for security reasons placed somewhere along the entrance to streets leading to his future residence. Federal money would pay for the gate, not the city, said Suhm. It's unclear how residents would use the gate to get to their homes. Wherever the gate goes, public access to Daria Place -- the high-end street where the Bushes' 8,500-square-foot ranch home sits -- will soon be a thing of the past. The plan, which requires approval by the Dallas City Council, isn't expected to meet with much opposition there, and the Bushes' neighbors seem to be on board, the newspaper reported. Residents have said that it isn't uncommon for cars loaded with onlookers to pull up and take pictures of the house. "It's great the Bushes are moving here, and it's great that they're doing whatever they need to do," Alan Bell, a Daria Drive resident, said in Monday's online edition of The News. The City Council is expected to vote on permitting the gate's construction this month, possibly as soon as its Jan. 14 meeting, City Hall officials say. 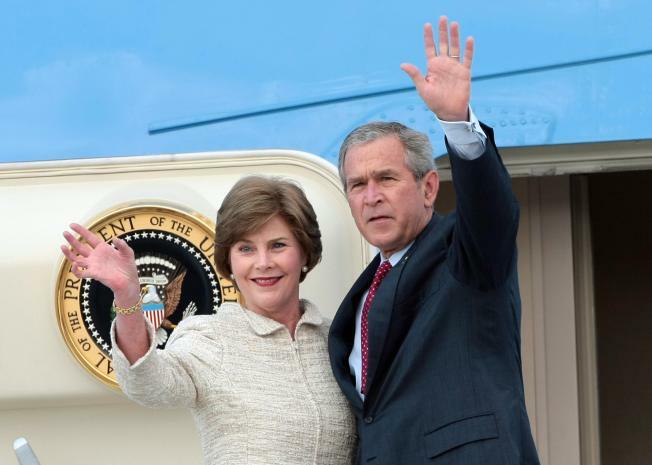 An aide to first lady Laura Bush declined to comment on the gate, calling it a security matter, the newspaper reported. Bush has the Texas Legislature and his father, former President George H.W. Bush, to thank for the possibility to place a gate across a taxpayer funded street in Texas. In May 1993, shortly after George H.W. Bush left the White House for Houston, the Legislature passed a little-noticed bill that allows cities to restrict access to streets "on which the dwelling of a former president of the United States is located." The Houston City Council later voted to allow gates at two streets leading to the Bushes' residence. The public will have an opportunity to comment on the plan. Suhm said the city staff would support gating the public street. "You've got the neighborhood and the president's security to think about," she said.